The Penn Band always knows how to keep things interesting at The Palestra. 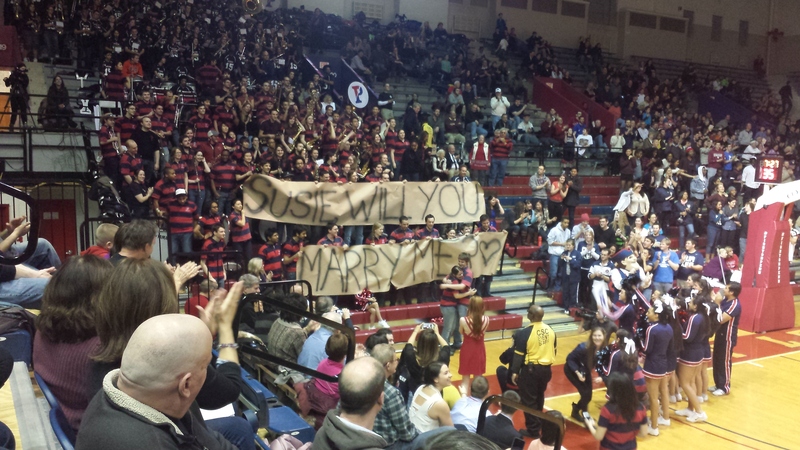 On Saturday, Penn Men’s Basketball fans witnessed a Penn Band marriage proposal during a media timeout. 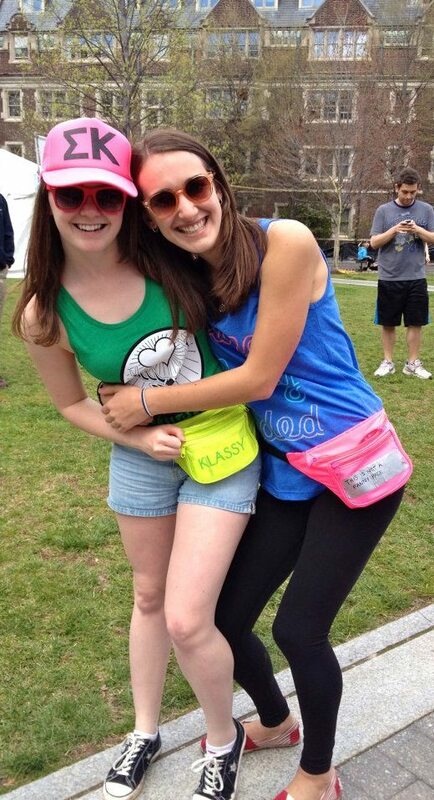 Hurrah for Penn love, and congratulations to the newly engaged couple! 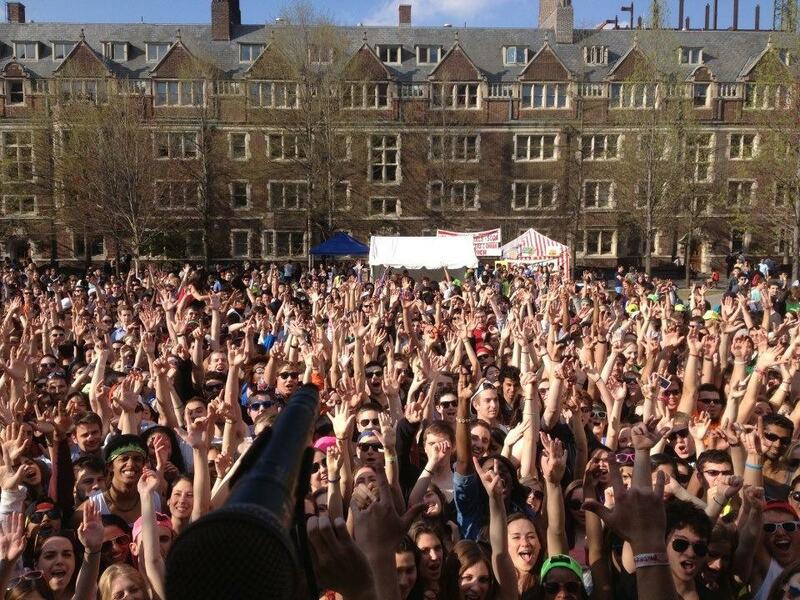 Come back to campus this May 16 – 19, 2014 to catch up with friends and celebrate all things Penn! Registration opens Monday, March 3rd. Check the Alumni Weekend website for event details and updates. 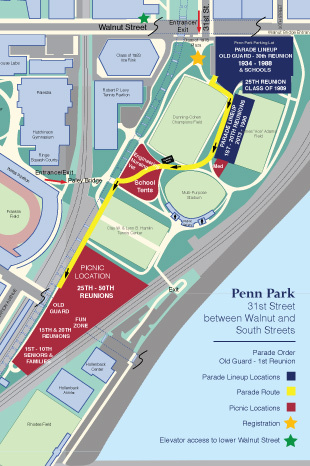 New for 2014 – The Parade of Classes and Alumni Picnic will be held at Penn Park! 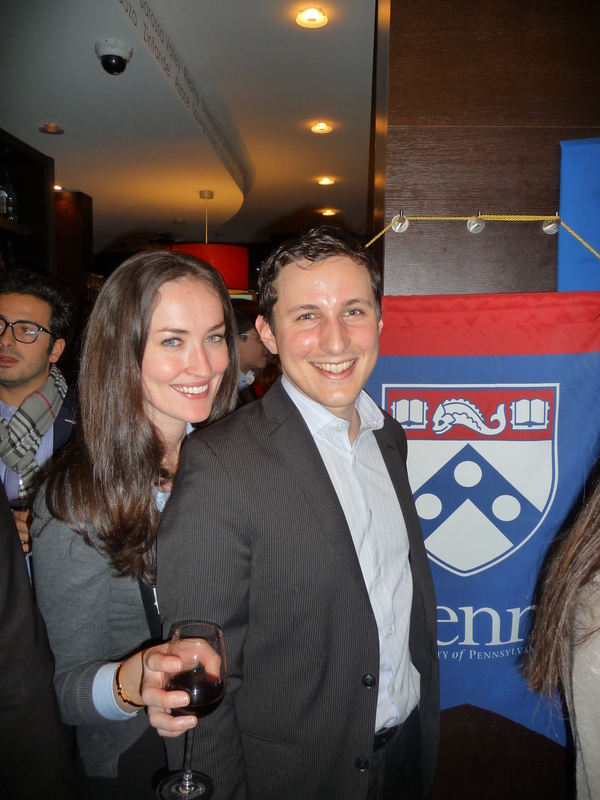 Penn Alumni Families – March was a busy month! Below is a list of our successful March 2014 Family Programs. I’m sorry you missed them! Keep an eye on the new Penn Alumni Families website, and don’t miss another opportunity to attend a Penn event with your family! On March 7, 2014, the Association of Alumnae and Alumni Relations held a successful event with the Penn Women’s Basketball team at the Palestra for the 3rd Annual Family Night at the Palestra! 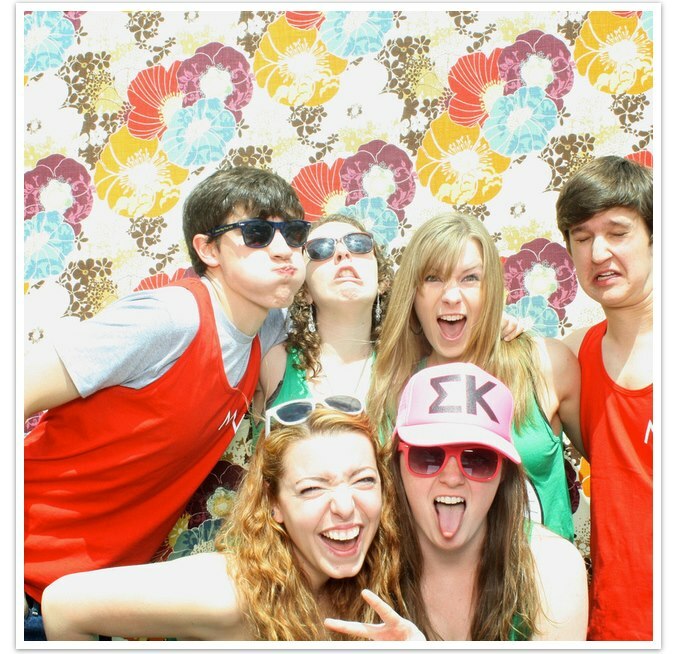 On March 22, 2014, Alumni Relations hosted its 4th Annual Family Day at Mask and Wig! Many alumni brought their kids to the Mask and Wig Clubhouse, 310 S. Quince Street, Philadelphia, for a fun-filled afternoon beginning with lunch, followed by an age-appropriate show. After the show, the kids joined the performers on stage for a kick-line and singing of the Red and Blue. Penn’s Mask and Wig is an all-male comedy troupe that has entertained Philadelphians and the Penn community since 1889 with its original revues. This year’s production, Wishful Sinking, was adapted to appeal to children ages 12 and under. On Friday and Saturday, March 14 and 15, 2014, Penn alumni and their children spent an overnight adventure at Penn’s Museum for 40 Winks with the Sphinx and Penn Alumni. The night’s activities are geared to take intrepid explorers on a journey through time and across continents, with hands-on opportunities, through games and crafts, to explore ancient Egypt, the mummies and hieroglyphics, the ancient Greeks and Romans, the world of the ancient Maya, and more! Following a scavenger hunt and an evening expedition through the galleries by flashlight, explorers rolled out their sleeping bags to doze at the foot of the third largest granite Sphinx in the world. The program concluded with a light breakfast in the Museum Cafe at 8am. Look for additional family programming throughout the year! 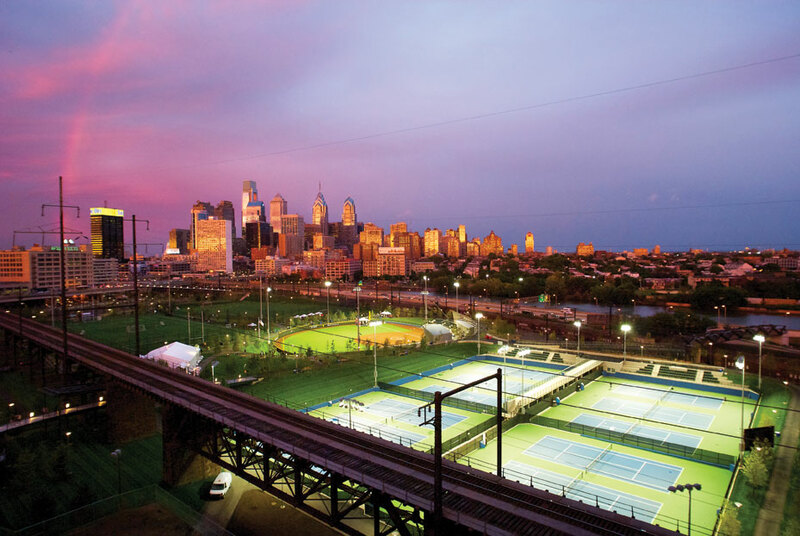 If you live outside of the 8-county Philadelphia area and wish to be included on our e-mailing list for Penn Alumni Family Events, please send an email with your request to Kristina Clark at krclark@upenn.edu. 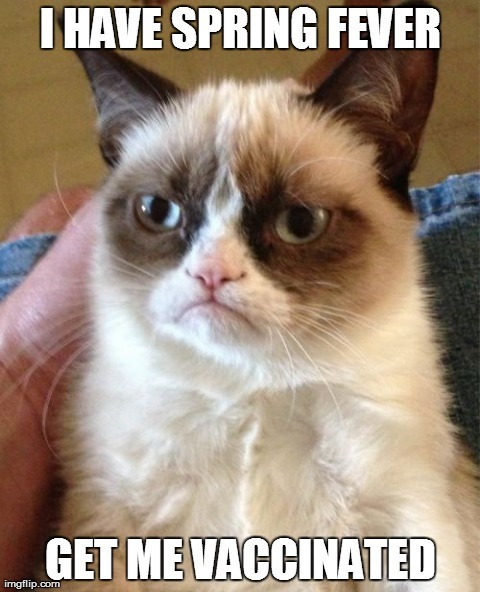 In case you haven’t heard yet, Quakers, Finals Season is in full swing. This explains why I haven’t posted recently, but with 1 final and 2 papers already completed I am back in the blogging game! I am sure many of you remember from your college days the various “study breaks” offered by different college houses and groups at Penn. Anything for free coffee and muffins, right? This year, however, I had the pleasure of taking a study break that was a bit more, well, unconventional. Planning the College Christmas Party is a delicate art. 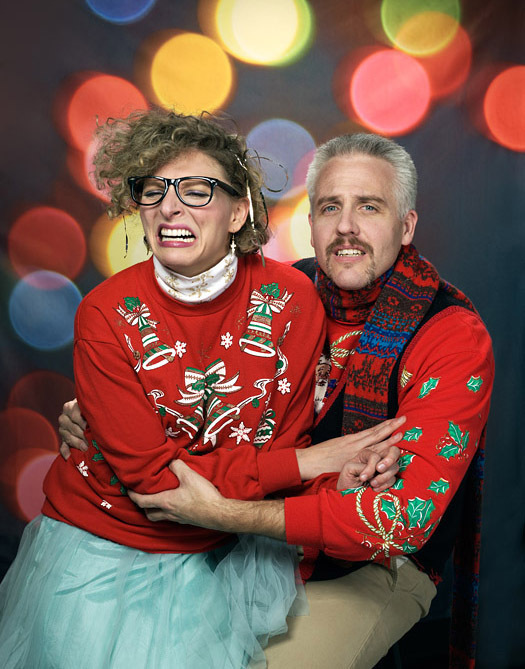 It’s more than just ugly sweaters. One needs the perfect amount of hors d’oeuvres and refreshments, one or two competitive games, and of course a rockin’ holiday playlist. 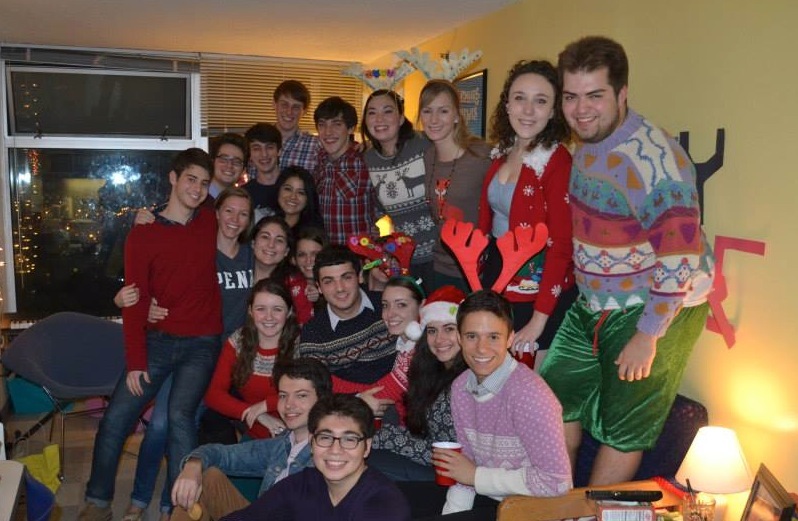 Fortunately, the lovely ladies in Harnwell Room 1712 are experts at throwing the ultimate College Christmas Party. Alexa, Leah, Katie, and Nina have been some of my closest friends at Penn since my pre-orientation program and NSO. Last year, they planned an awesome Christmas party from Alexa’s tiny single in the Quad, and luckily they had a bit more to work with this year in their apartment. Leah baked mini quiches, Nina made latkes, Alexa and Katie ran the Post-It Note game and Christmas Bingo, and I had the honor of making the playlist. Again, the festivities were a success! Not only because of food, games, and music, but more so because of the company. It’s very easy to get caught up in the gloom and doom of finals season. I can feel bogged down by the papers and the exams, of course. But one evening with friends is enough to remind me that I’m not in this alone. We all have crazy amounts of work, but we also have each other as study buddies or necessary distractions. Academics are an integral part of life at Penn. I’d like to argue, however, that friendships are just as – if not more – important. Happy Holidays from Harnwell 1712! If you pay very close attention to my biweekly blogging, you would have anticipated a Top Penn List for this week. However, I like to switch things up. 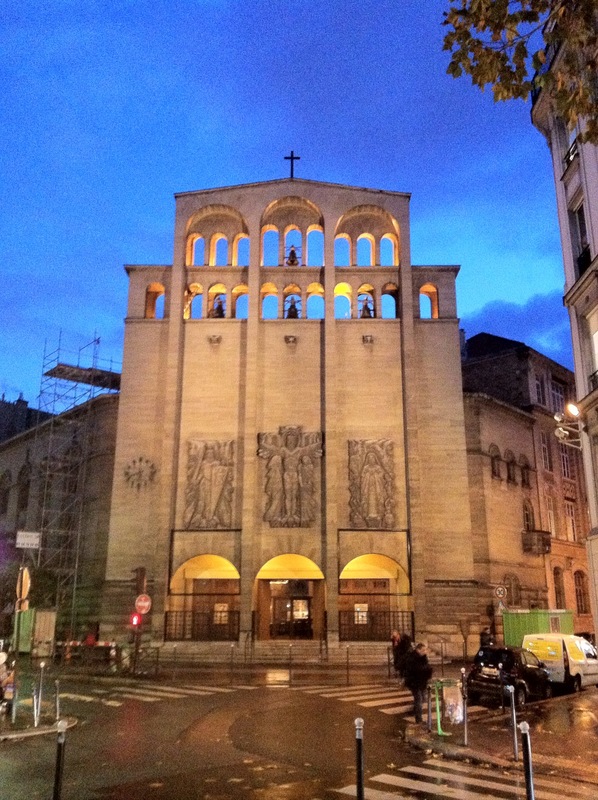 I wanted to share with you a wonderful story about the Penn Club of France. Last month, the University took Time to Shine tour to its final stop – London. 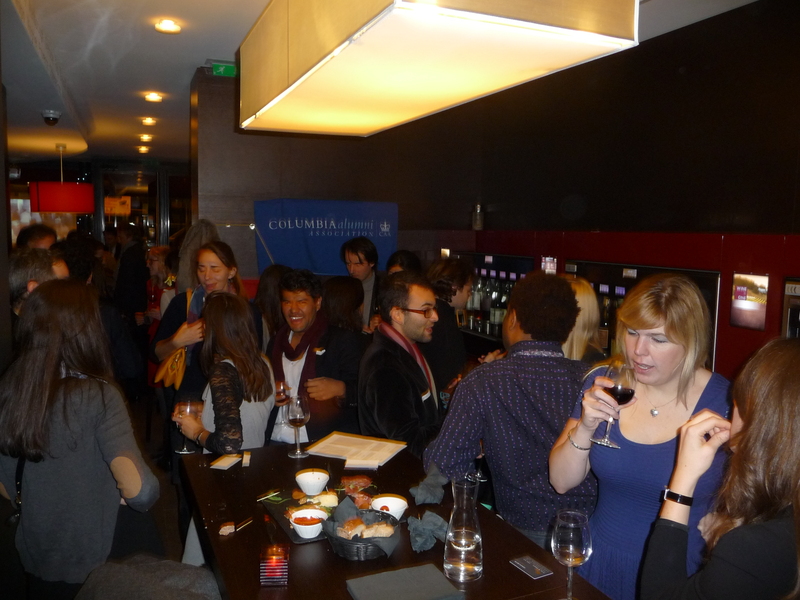 The event was a huge success and our British and expat-American alumni were excited. During my time abroad, I took the Eurostar over to Paris to meet with our Penn Club of France. In the middle of our planning Time to Shine in London, the Penn Club of France was preparing for their next event, a happy hour cocktail organized in partnership with the Columbia University Club of France. 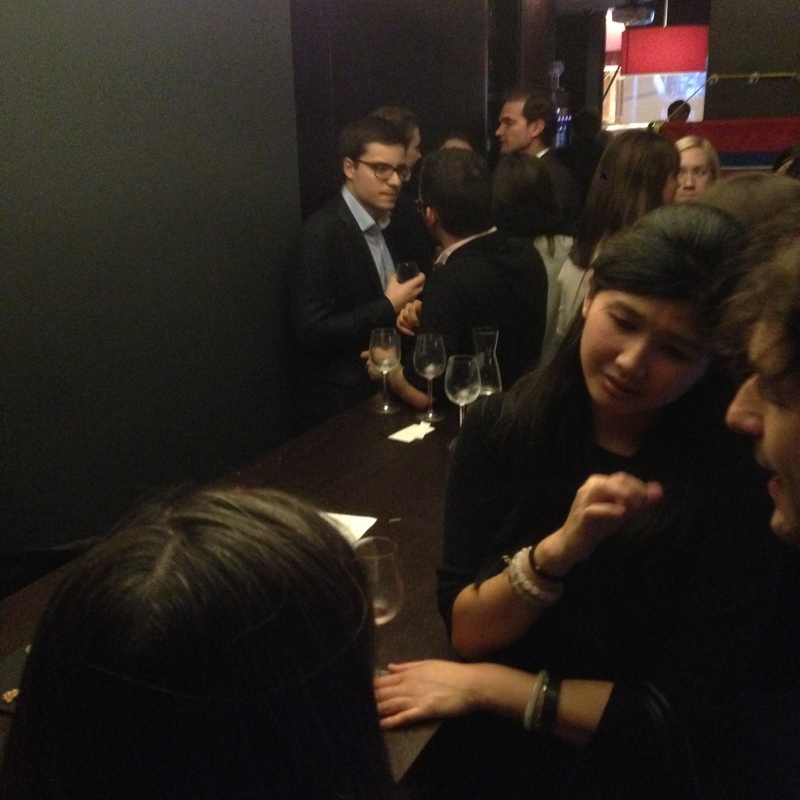 The alumni groups were scheduling a meet up to share a good evening and some great wine at Wine by One: Montaigne. The event was slated to start at 7:30 pm on Thursday, November 14th. The timing couldn’t have been better, Time to Shine: London was the 13th and I could head over the next morning. 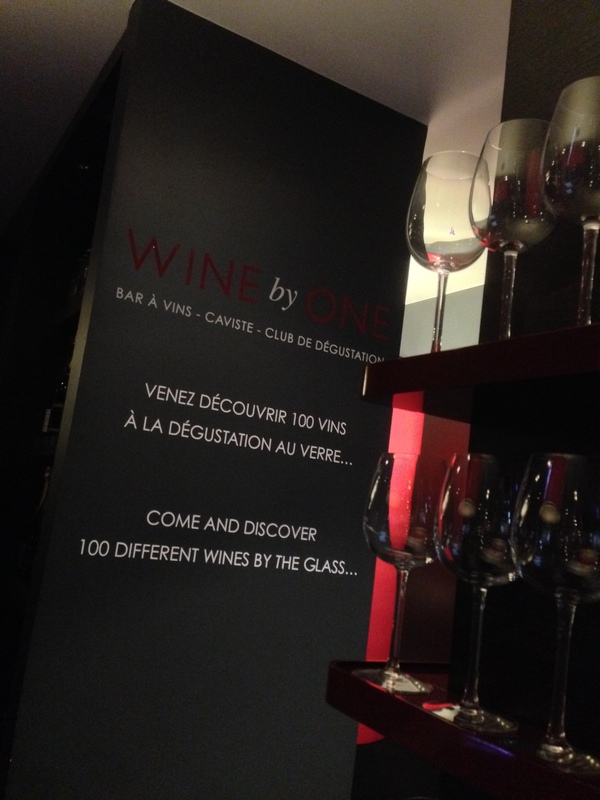 Back to Paris, Wine by One is unique wine-bar founded by a Penn alumnus, Stéphane Girard, WG’06! The concept is modern and simple: purchase a rechargeable cash card, grab a glass and begin browsing. There are 100 wines “on tap,” grouped by region and flavor profile. 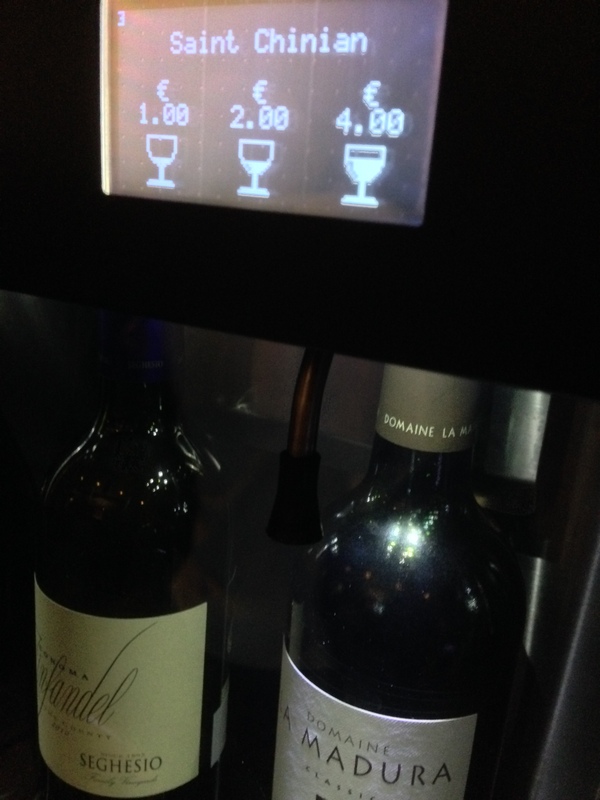 Once you have made your selection, insert your card into the slot, select the size of your glass (a taste, a half-glass or a full glass) and fill it up! The cost is deducted from your card. It’s a clever way to experiment with wines and to find one to enjoy. You can relax and sample many different wines. You can stick to a wine that you like and drink a glass of it. You can take a bottle home if you discover one that you love by purchasing it there. One of the biggest draws about this place is Girard’s selection of non-French wine. There was a chardonnay from Long Island (I believe it was from Bedell Cellars) which was superb. Don’t worry, I did try a handful of French wine and I reached out to taste others from Slovakia, South Africa and Spain. After a wonderful evening chatting with many Penn alumni as well as a few of the Columbia alumni, I thanked the president of the Penn Club of France, Laurent Bonnet, C’07, for allowing me the privilege of joining the club’s event. We chatted a bit as he walked to the Metro, then we bid à bientôt. 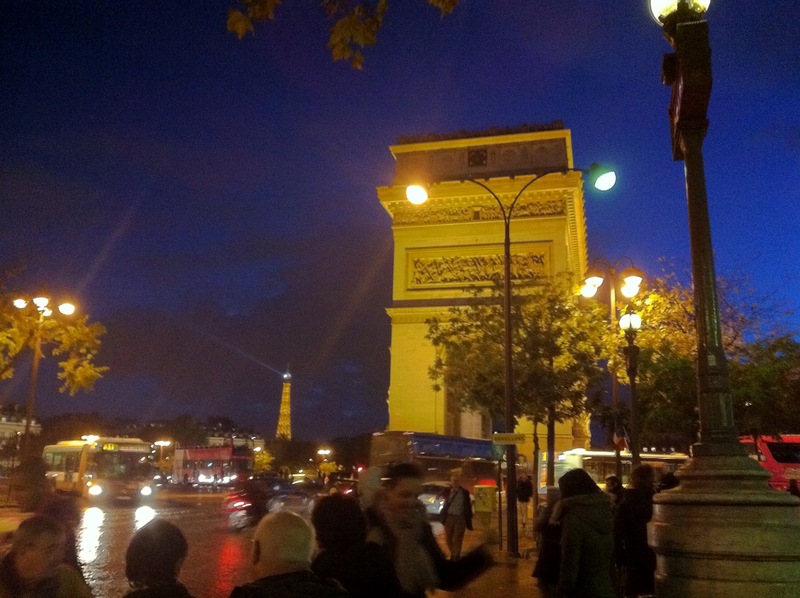 Having only a few scant hours left in Paris, I walked back to my hotel, enchanted by the City of Lights. Currently there are two locations: Wine by One: Montaigne located 27 rue de Marignan and Wine by One: Place Vendôme located 9 Rue des Capucines.